Geologist Tom Gillespie has filed an amicus brief in the crucial Briggs v. SWN case and here is a condensed version in the form of a guest post from Tom. 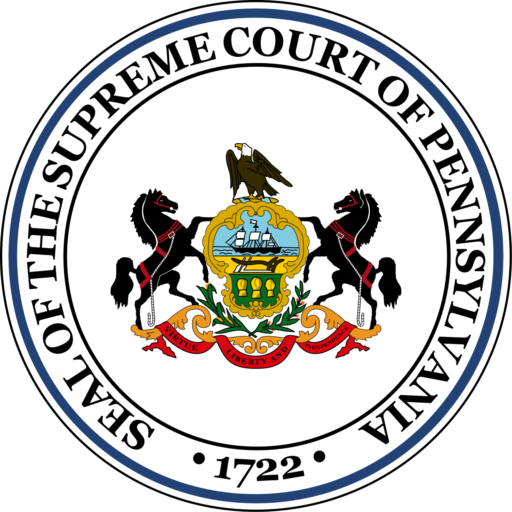 I am compelled to submit this amicus brief because the opinion issued by the Pennsylvania Superior Court in the matter of Briggs v. SWN was founded on fundamental misconceptions pertaining to the mechanisms by which natural gas occurs and migrates in geologic formations and the methods by which that gas is extracted from geologic strata to provide a vital resource for the public health, welfare and benefit. The matter this Court was petitioned to consider hinges on geologic conditions and geologic concepts. The fundamental geologic principle at issue pertains to the mobility of natural gas within or through geologic rock formations and whether that natural gas is mobile in all geologic formations or in only some. Misconception No. 2: Natural gas is not mobile in geologic formations referred to as unconventional formations in the absence of the stimulation method known as hydraulic fracturing. Both misconceptions are based on a premise which conflates the physical properties of natural gas with the geologic formations in which the gas occurs. The manufacture of such an impossible equivalency violates the science of geology no less than if the issue at hand were whether water in an aquifer behaves differently depending on the geologic formation in which it occurs but water behaves as water wherever it is found. 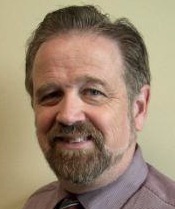 The same can be said of natural gas and it is scientifically invalid to claim a legal stricture (e.g., the rule of capture), devised as a result of the inherent property of natural gas to flow wherever it can, applies in one geologic setting but not in another, as found by the Superior Court in Briggs v SWN. There are no differences in the mechanisms of natural gas migration between so-called conventional and unconventional geologic formations. Once the conditions within which migration can occur are established via operations, the mechanisms of migration through unstimulated zones of the formation are the same whether that formation is considered to be conventional or unconventional. It was one of the fundamental findings of the Superior Court in the Briggs v. SWN case (Briggs Court) that the behavior of natural gas itself differs between conventional and unconventional formations:“[u]nlike oil and gas originating in a common reservoir, natural gas, when trapped in a shale formation, is non-migratory in nature,” (Briggs Court, pg 20).That was concluded in contra-distinction to natural gas in a conventional formation in which setting the Briggs Court found:“has the power and tendency to escape without the volition of the owner” (citing this Court in Westmoreland & Cambria Natural Gas v. DeWitt). Prior to development, hydrocarbons in both conventional and unconventional formations are trapped by natural geologic conditions, are immobile, and can not (and did not) migrate, else they would have bled away and dissipated long ago. In fact, the vast volumes of accumulated hydrocarbons present in the pore spaces of certain sedimentary rock formations in the Earth’s upper crust have been extant for many millions, in most cases tens of millions and in some cases hundreds of millions of years, emphasizing the static condition of natural gas in the absence of recovery operations. a trap – a structural or stratigraphic condition at the top of the reservoir which halted the natural, generally upward movement of hydrocarbons and prevented further migration, thereby forming what would later be considered a reservoir of natural gas. 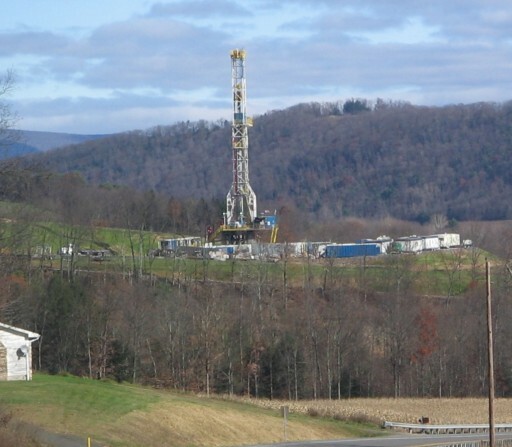 In the context of those Pennsylvania statutes and regulations governing natural gas, an unconventional formation generally corresponds to the source rock and conventional formations generally correspond to reservoir rocks. The difference between conventional and unconventional oil and gas operations in Pennsylvania is that conventional operations tend to tap a reservoir rock and unconventional operations go directly to the source rock. The immense volumes of oil and gas extracted from geologic formations since the beginning of the petroleum age in 1859 have been produced almost exclusively from reservoir rocks. The oil and gas were trapped in the reservoirs (conventional formations) where they remained immobile until societal demand necessitated that petroleum geologists and engineers creat the conditions within those geologic formations by which the natural migration potential of both the oil and gas could be exploited and they could be recovered. a gas pressure gradient must be induced which will cause the gas to flow (migrate) through the formation to the outlet. The creation of a migration pathway (above) connects the trapped, immobile, pressurized natural gas to lower pressure zones above the formation (e.g., atmospheric pressure) and thereby induces the pressure gradient. Both conventional and unconventional formations are possessed of natural gas permeabilities and the methods applied to create the outlet and pressure gradient so the gas can migrate pursuant to its inherent property of fugacity are the same for each formation type. The question before this Court is: Does natural gas from outside the hydro-fracturing envelope migrate through the native permeability of un-stimulated rock of the Marcellus Formation and into the hydro-fracture network. a conventional formation is not de facto capable of producing gas at economic flow rates or in economic volumes without hydraulic fracturing. By both statute and regulation, Pennsylvania recognizes unconventional formations are permeable to gas migration and the Legislature and PADEP developed regulatory mechanisms that provide for in-field methods (hydraulic fracturing, among others) whereby the natural permeability of any gas-bearing geologic formation can be enhanced (not created) so that the naturally fugacious character of the natural gas, which is the resource subject to the rule of capture, will provide for recovery at rates adequate to be of societal benefit. Although there are geologic distinctions between the two different formation types, the salient point is that the behavior of natural gas is the same in either conventional or unconventional formations, as are the mechanisms by which migration occurs in both. By way of illustration, Petitioner presents the following comparison between conventional and unconventional formations. In a producing conventional formation, the artificially-induced pressure gradient causes gas to flow to the created migration pathway (the well) and the volume of gas in the reservoir is reduced continuously, resulting in a decline in formation pressure over time. Eventually, reservoir pressure is reduced until it is approximately equal to the capillary forces which tend to hold gas molecules in place within the natural pore spaces of the rock, at which point natural gas wells stop producing at useful rates. At that point, from both hydraulic and production perspectives, the conventional formation is similar to an unconventional formation. In most reservoirs such a point is reached when only approximately 30% of the total resource has been recovered. in an unconventional formation, nature, in the form of faults and natural migration, reduced the pressure to a similar condition long ago. 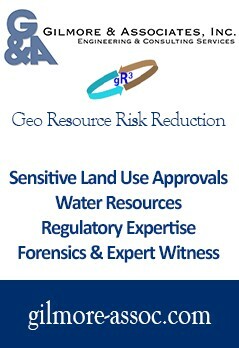 In other words, the two regulatory-defined formation types are simply two components of a single hydrocarbon-bearing geo-system and are not different in terms of either the occurrence of the resource, the methods of development, or the mechanisms of migration through the formations once development methods applied by operators of both conventional and unconventional formations have established the two conditions required. the term conventional well is defined as a “bore hole… to be used for the construction of a well irrespective of technology or design;” i.e., a well for which no methods are specified and, consequently, no method can be considered to be unconventional. In the contexts of both Pennsylvania law and the practice in the field, hydraulic fracturing is routinely applied to conventional wells drilled into conventional formations. Conventional wells can include wells: completed in shale formations; wells which are hydraulically fractured; wells strati-graphically lower than the geologic stratum below which unconventional wells are defined; wells which are drilled, constructed and completed using any technique or method. Accordingly, there are no defined conventional methods and the findings of the Briggs Court cannot be reconciled with either the principles of geology or practices of natural gas operations. By the reasoning of the Briggs Court, the rule of capture would not apply to a gas-bearing shale formation located above the Elk Formation because hydraulic fracturing would be required to enhance production. Such a formation, however, is conventional by definition and one in which the rule of capture undeniably applies. That such a level of confusion exists is the result of the Pennsylvania Legislature and PADEP adopting a nomenclatural scheme which imprecisely uses terms (conventional and unconventional) already in use by the oil and gas industry but with different meanings. Contrary to relevant principles of geology and with no consideration of the fact that natural gas mobility is observed in shale formations, the Briggs Court held that the rule of capture does not apply in so-called unconventional formations; i.e., that natural gas only migrates in such formations with artificial stimulation in the form of hydraulic fractures. if the source rock did not possess an inherent permeability, conventional reservoir rocks would have contained only the gas derived from rock contacted directly by the faults (as above, a tiny percentage of the mass) and would not have contained any useful volume of gas. In other words, if gas is truly trapped in unconventional formations and is incapable of migration as the Briggs Court concluded, viable conventional gas reservoirs of the magnitude still being tapped today after more than a century and a half of continuous and substantial recovery, would have been impossible. into the well bore and into production equipment. Such production is wholly impossible from only the volume of rock actually fractured and derives in large part from the migration of gas from unfractured rock outside the fracture envelope. Because the Marcellus is bounded above and below by frac barriers which are not gas-bearing rock, the gas derives from unfractured zones horizontally adjacent to, and outside of, the fracture envelope. Therefore, the migration of gas to the hydraulic fractures through the primary porosity via inherent permeability of the source rock occurs by the same mechanism, along similar pathways and via the same driving forces by which gas within a “conventional” reservoir migrates horizontally to a well bore. Therefore, ongoing practice in the field confirms that migration of gas in an unconventional formation occurs through unfractured rock beyond the horizontal limits of the hydro-fracturing envelope. many if not a majority of wells in conventional formations are subject to enhanced recovery methods including hydraulic fracturing, in which case the gas recovered by an enhanced conventional well derives from zones of the formation both within and from outside the hydro-fracturing envelope. Accordingly, in an unconventional formation where the hydro-fracturing halo does not cross a property boundary, it is undeniable some unknowable and wholly unpredictable volume of the recovered gas derives from unfractured zones of the formation horizontally outside the frac’ing envelope and consequently, from the Marcellus Formation at a location below the adjacent property. That condition is exactly the case with gas derived from the reservoir in a conventional formation where the rule of capture applies uncontested. 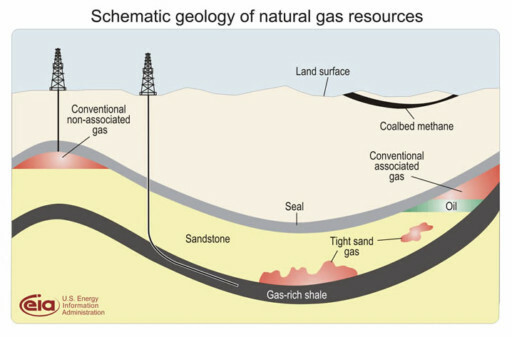 Because the natural gas which resides in conventional formations derived originally from a source in unconventional formations, and in some cases continues to derive from unconventional formations, there is no scientific rationale for concluding that the rule of capture applies to some gas but not to all, or in one type of geologic formation and not another. Accordingly, and contrary to the opinion of the Briggs Court, molecules of natural gas in shale formations are no less fugacious than molecules in so-called conventional gas-bearing formations. The differences in the rates of migration within and out of conventional and unconventional formations does not alter the fugacity of the natural gas resource itself any more than the different diameters of any two pipes could alter the inherent flowability of water. Geologically, the recovery mechanisms of gas from conventional and unconventional formations are indistinguishable as are the respective mechanisms of natural gas migration during production. The only relevant difference is the rate at which migration occurs within the unstimulated zones of the formations; a difference recognized and addressed in statute and regulation by the definition of unconventional formations and by the very considerations which led the Legislature and PADEP to differentiate the two formation types in the first instance. Great work,Thomas! Thanks for all of the timely information.